Daydreaming of a tropical escape? It’s easy to do anytime, but especially during the cold winter and spring months! Jet-setting off to a beautiful beach somewhere isn’t always an option though. Sometimes a staycation at home is the best way to go! With spring break approaching, we’ve been talking about some staycation tips this month. And, today we’re talking staycation food, including these cute snack ideas created in partnership with Frigo® Cheese Heads®. 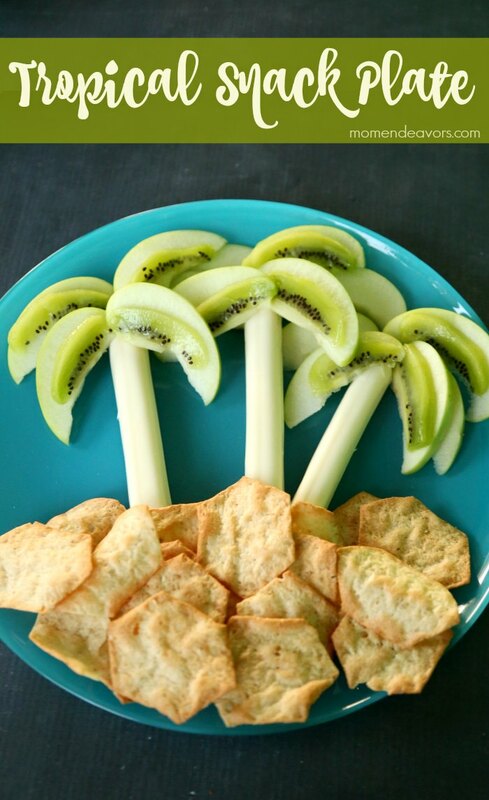 Since we’ve got tropical destinations on the brain, we’ll start with this fun tropical snack plate! 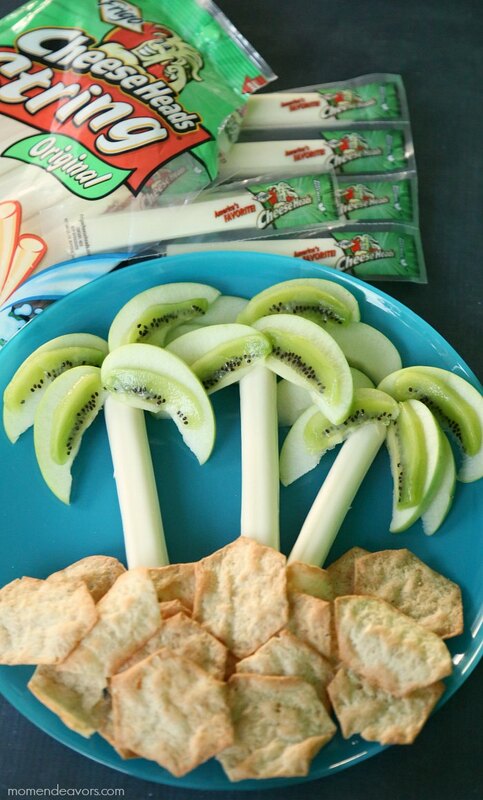 Who wouldn’t love a fun tropical snack plate like this? If you can’t go to the beach, you can at least have a little fun with the theme at home during a staycation! Making this little platter is SO easy too – you just need a few items and you’ll be all set. Unwrap the string cheese and place on a plate. Thinly slice apples and place the slices on the top end of the cheese to look like palm trees. If you’d like to make the fruit look more green, you can add some thinly sliced kiwi. Then, place a layer of crackers at the bottom! Super easy and a fun snack to put you in vacation mode! I love this! When you’re having a staycation, you’ll definitely want to stock up on some snacks. String cheese and fruit are some of our favorite snacking options around here anytime! But, I’m all about making things a little extra special and fun during a staycation! In addition to the tropical snack plate above, you can also put together a lovely flower-themed plate with cheese and fruit! Use a string cheese for the flower stems and center of the petals. 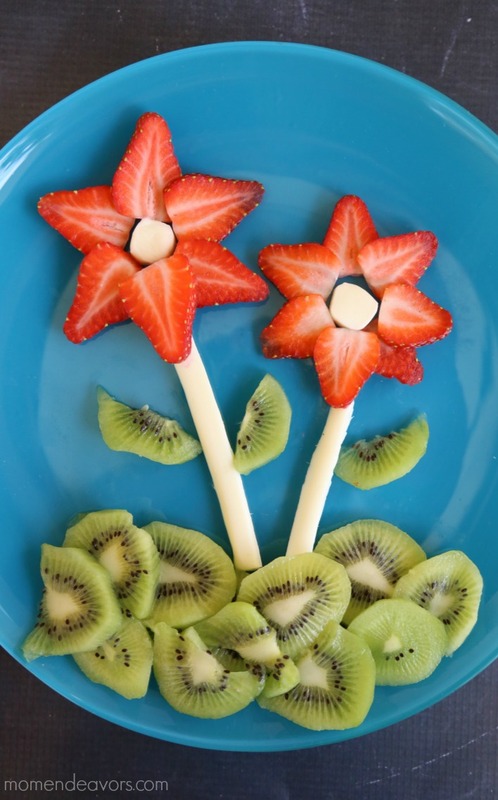 Then, cut fruit (strawberries work great) for petals and put the flowers on a bed of kiwi – it’s the perfect spring snack! My boys were thrilled with these snacks! 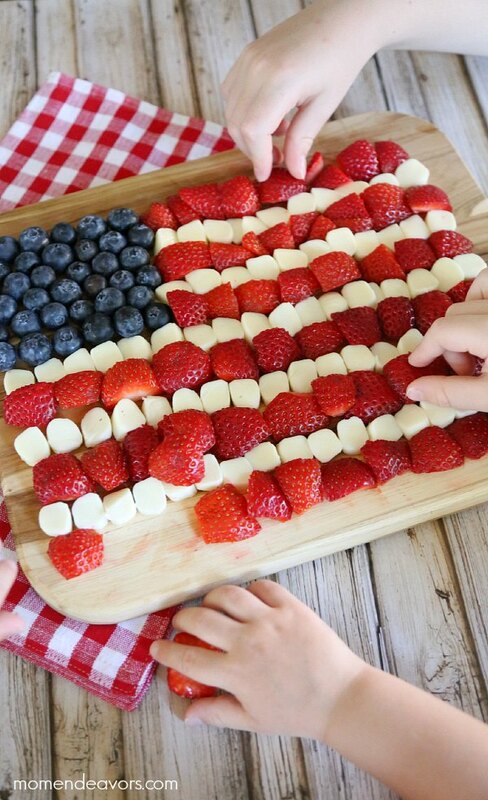 If you were doing a staycation over a patriotic holiday (maybe Presidents’ Day or 4th of July), you could always try our American flag snack tray as well! The food fun doesn’t have to just stop at snacks though! As we shared in the planning tips post, it can be fun to change up the routine some during a staycation – and that includes meals! Instead of normal sandwiches, you could do something creative like these cute sandwich kabobs! The kabobs would be perfect for a special picnic in the living room or in the backyard! Have everyone’s favorite snacks already purchased and ready to grab for outings (like trail mix, crackers, Frigo® Cheese Heads® string cheese, etc). Take the time to make some special snacks or meals for the kids at home- like any of these cute snack ideas, unique-shaped pancakes for breakfast, heart-sandwiches for lunch, special drinks, etc. Change up the meal-time routine some – consider eating in another room or outside, or making different twists on favorite meals. Plan a few food splurges – maybe a special dinner outing, a special dessert, or perhaps letting everyone pick their favorite foods & have those for different meals. What fun staycation food ideas do YOU have? String cheese is also one of our favorite snacks for traveling – which you definitely would need on a BIG trip, like on a trip to Hawaii! 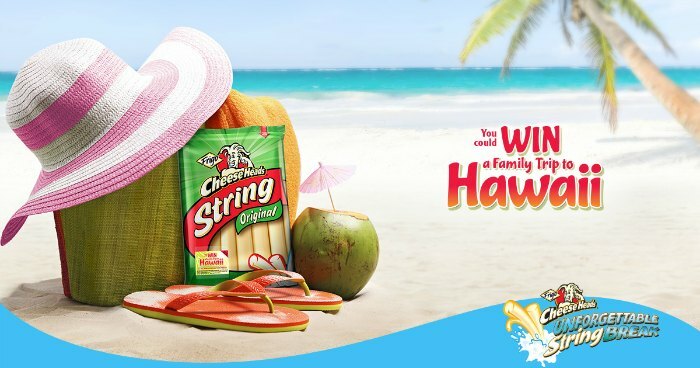 With the Frigo® Cheese Heads® Unforgettable String Break promotion you could be WIN a trip! How awesome would that be?! Click the image below to enter and get details!! Disclosure: This staycation post was created in connection with my agreement as a contributor to Saputo Cheese USA Inc. However all opinions and ideas are entirely my own.